When you step inside the Mitsubishi Outlander Sport you’re going to find a welcoming interior with comfortable seats, a padded dashboard, the technology you desire and the roominess you’re looking for. Close the doors and take a look around this SUV and you’ll see a stylish and sporty SUV that brings you the visual you want to enjoy. Ask about the offers for this SUV and start to drive and admire what it brings you in New Orleans, LA today. When you see the team at Ray Brandt Mitsubishi, you’ll be able to start shopping for the right Outlander Sport for your drive. The base model offers you 18-inch wheels, automatic climate controls, and a variety of safety items for your drive. Move up to the SE trim and enjoy a seven-inch infotainment screen, push-button starting, heated seats, and two USB ports. The GT model adds more safety and a stronger engine as part of the standard package along with HID headlights and more comfortable materials. All models offer you hill-start assist, stability control, and seven airbags for your drive in New Orleans, LA. The options that you can have in this SUV come to you in the various trims that are offered. This means you can choose different interior and exterior colors, a variety of accessory packages, and more of the qualities you want to enjoy when it’s time for a great drive. The Popular Equipment Package gives you wheel locks, front and rear mudguards, a cargo net, and a shifter wrapped in leather. The Exterior Package brings you a rear spoiler and a rear undercover to give you a sporty style you can admire. There are two engines for the Mitsubishi Outlander Sport. The first one is a 2.0-liter four-cylinder engine that offers you 148 horsepower and 145 lb.-ft. of torque. This engine can be attached to either a five-speed manual or CVT automatic transmission. The GT model makes use of a 2.4-liter four-cylinder engine that makes 168 horsepower and 167 lb.-ft. of torque that only uses the CVT for the drive you want to make on the roads in New Orleans, LA. You can enjoy adding AWD to either of the powertrains to make sure you have the added control you want. You’re looking for the best Mitsubishi Outlander Sport offers in the New Orleans, LA area and there’s only one place you should go to find what you desire. 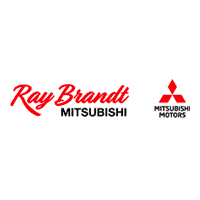 Come in and see the team at Ray Brandt Mitsubishi today and let this team help you have the drive you’re looking for so that you can enjoy the benefits offered in this amazing SUV. Get behind the wheel and take a test drive to see how the Outlander Sport feels to you on the road. You’re sure to take one home with you when you work with this dealership team today.